When Forbes reported a decline in active Facebook users in 2014, people started wondering if Facebook advertising was on the way out. With new social networks emerging regularly, it's a legitimate concern for small business owners. But to paraphrase the Brits, "Facebook is dead. Long live Facebook!" As social media evolves, Facebook has proven to be a nimble competitor despite its massive size. According to its own report, in the second quarter of 2015 alone, Facebook reached 1.49 billion active monthly users and reported $4.04 billion in revenue. Put simply, Facebook offers far too large an audience for businesses to ignore. According to Forbes, Facebook was the only social network to experience a decline in active monthly users in 2014, while others saw large jumps in activity. However, looking forward, AdWeek predicts Facebook will continue to dominate in terms of overall numbers. Its biggest competitor, Instagram (which is owned by Facebook), has nearly 100 million fewer users, and that number is still larger than the audience held by any other social media network. 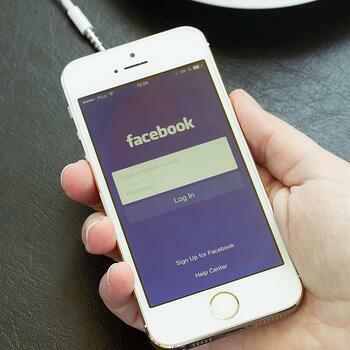 Facebook helps you reach a larger audience than any other social network out there, and SMBs can target their ads to make sure that the right users in that audience are seeing their ads. One clear benefit of Facebook advertising is its simplicity. Using Facebook's own tools, you can easily create your ads, get the benefits of optimized bidding and organize your campaign structure. You can select a campaign objective from one of 10 categories — from clicks to conversions to engagement, and more — and Facebook will show you the design specs you need to create your ad. But the next step is the one that truly makes Facebook advertising accessible and smart for any business: You specify exactly who you want to reach by age, interest and/or location. The results provide a continuous feedback loop that you can use to further refine your campaign. As for the decline Forbes reported on, Facebook's numbers have since come back up. And given the massive amounts of data Facebook can access, you can learn a great deal about your audience by advertising through the social network. You can even use that information to help you decide where else to put your ad dollars or how to build your next campaign.